Turkey—a land where Europe meets Asia, secularism butts heads with Islamism, and controversy meets more controversy. This continent-bridging nation has a tumultuous past and an equally dramatic present. Let’s take a look Turkey today. 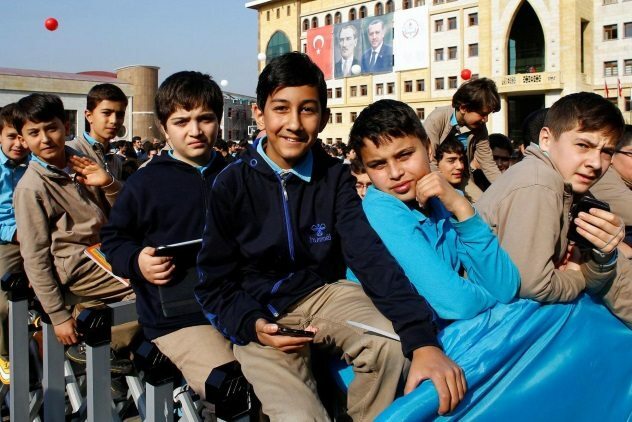 On a state level, Turkey ignores the genocide of 1.5 million people perpetrated in 1915, going so far to expunge any mention of the events from school textbooks. The US consul at the time wrote, “That which took place around beautiful Lake Goeljuk in the summer of 1915 is almost inconceivable. Thousands and thousands of Armenians, mostly innocent and helpless women and children, were butchered on its shores and barbarously mutilated.” In spite of that, the US does not recognize the genocide, either. Political tensions being as they are, for over a century, the United States has been complicit in covering up massacres while at the same time promoting themselves as a paragon of democracy and doing the right thing. Just goes to show: Genocide talks, and geopolitics walks. 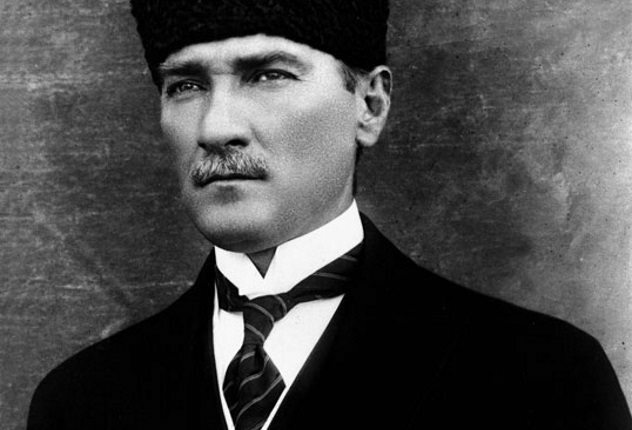 When Mustafa Kemal Ataturk took power in the 1920s, Turkey was in chaos. Having fought two wars back-to-back, one on the losing side against the allies in World War I and the other in a multifaceted, confusing free-for-all in which everybody kind of lost (more on that later), Ataturk was left with what would appear to be an impossible task. The Ottoman Empire had burned to the ground, and the new nation of Turkey was, in Ataturk’s view, far behind the rest of the world. “We have no choice but to catch up,” he said. Turkey quickly moved toward secularism, closing religious courts and schools and banning the hijab for public employees, lifted the ban on alcohol, scrapped the Islamic calendar, made Sunday a day of rest, changed the alphabet, and banned the fez. While Ataturk was authoritarian by necessity, suppressing opposition parties, the Kurds, and the pesky Armenians, his impact on the transformation of the heart of a crumbling and ancient empire into a Westernized nation cannot be understated. After World War I, the Ottoman Empire was effectively gelded in 1920 with the Treaty of Sevres. You might have heard of the 1916 Sykes-Picot Agreement, which carved up the former territories of the Ottoman Empire between France and Britain: This treaty was the implementation of that agreement. The sultan in Istanbul, Mehmed Vahdettin VI, accepted the treaty—which ceded great swathes of territory to the encroaching Greek army. 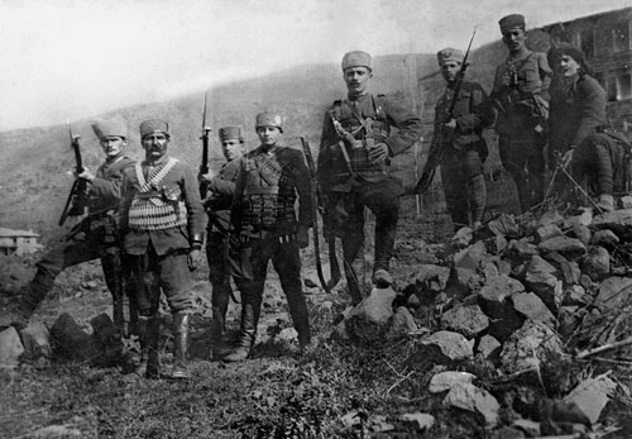 The aforementioned nationalist leader Ataturk, already in skirmishes with Armenian separatists on one front and with the Greeks on another, disagreed with the sultan and went into full war mode, rejecting the treaty. 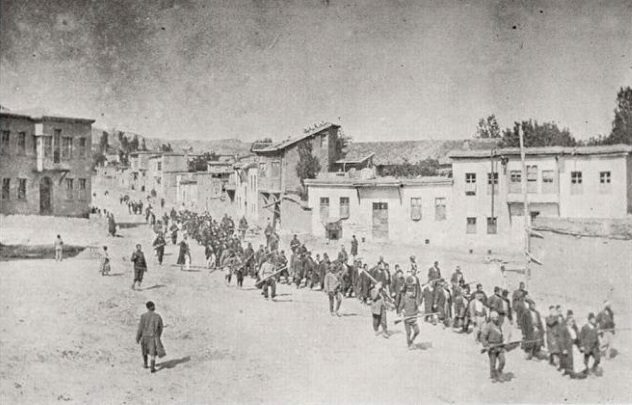 By 1922, the Turks had whipped the Greeks out of Thrace, forced them from the city of Izmir, and put the wind up the French and Italian military presences in the region that yet again, these brave nations ran away like little girls at the first sign of a bayonet. It looked like an all-out war was brewing between the British and the Turks, but the proposal of a new treaty, which was accepted by Ataturk, showed that the Allies were not willing to lose men backing the Greek intercession to Turkish land. The Resulting Treaty of Lausanne in 1923 defined Turkey’s borders as they are today. “Now there seems to be a new pattern of leadership: Erdogan, Russian President [Vladimir] Putin, and Trump. They are not dictators, they are strongmen,” said one Turk, who approves of Erdogan. It’s not hard to see why authoritarianism in Turkey has swung to capture the religious vote. After all, there were over 30 terrorist attacks in 2016 alone. Additionally, in the wake of the attempted coup in 2016, Islamic nationalism is on the rise as the ideological pushback against the perceived enemies of Turkey continues. As a long-standing Islamist, Erdogan is now in a position to deliver exactly that vision. The gateway to Europe from Asia passes through Turkey. 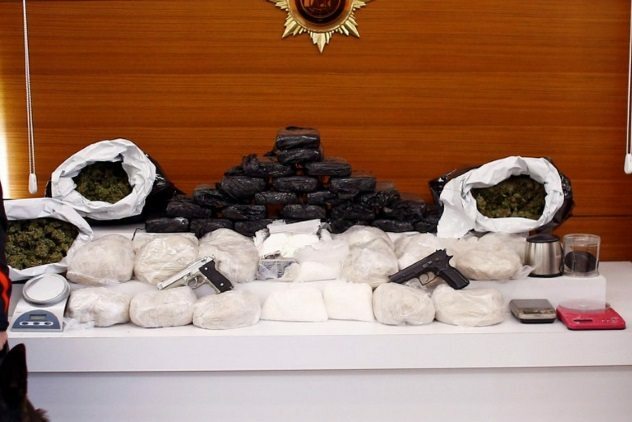 So it has been for centuries, and whether you’re smuggling Afghan heroin, Syrian refugees, or weapons for the PKK, all manner of illicit goods enter Turkey on its southern and eastern borders. The problem partly arises from the communist, separatist Kurdistan Workers’ Party (PKK), who control many border regions in Turkey and now Syria. The curious case of financial necessity brings Islamists, communists, drug runners, and arms dealers together to do business. Quite frequently of late, the business conducted has been of the copper-jacketed variety, at the business end of an AK-47. In the 1990s, the PKK were rumored to be making half a billion dollars a year from the drug trade. It is unlikely to have diminished much from these figures, as now, users of heroin are increasingly found inside Turkey itself. 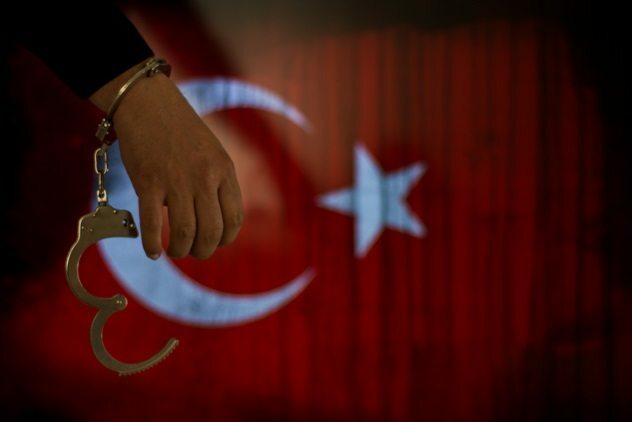 Since the failed coup of 2016, Turkey has sacked or suspended more than 150,000 officials and arrested some 50,000 people. 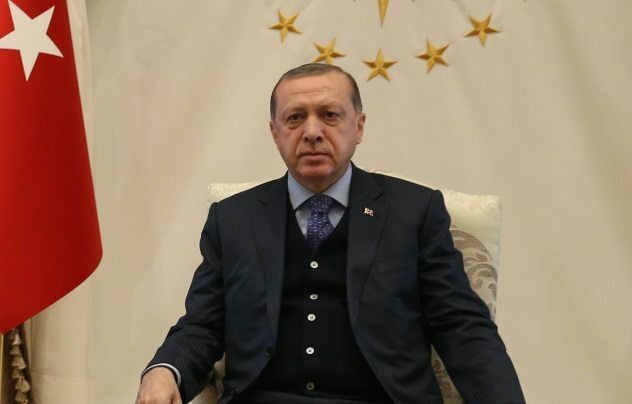 The specter of Fethullah Gulen and his rumored Islamist militants who have infected the police and army have apparently so spooked President Erdogan that the solution is to have a giant witch hunt. For context, no evidence has been shown that Gulen, a wizened Islamist cleric and former ally of Erdogan now in exile in the United States, has plotted against the regime. Never one to let facts get in the way of a good show trial, Erdogan is systematically working his way through his list of naughty people who think differently. Soon, the wrong kind of Islamists will be purged, and there will only be the right kind of Islamists left in Turkey. As the French, Italians, and Greeks found out a century ago, the Turkish military can be quite tough. According to Global Firepower, NATO member Turkey is the eighth-toughest military force on the planet (not counting nukes). Due to the ongoing conflict on the Syrian border with the PKK, defense spending has exceeded $8 billion. 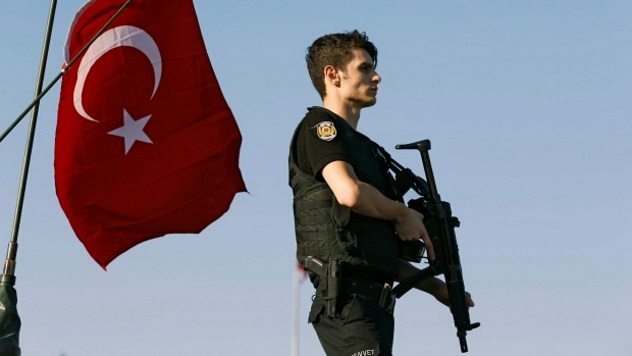 The ongoing issues to the south nothwithstanding, Turkey also maintains a military presence in Northern Cyprus to ensure the Greeks don’t pull any sneaky tricks and also contributes military might to operations in Afghanistan. 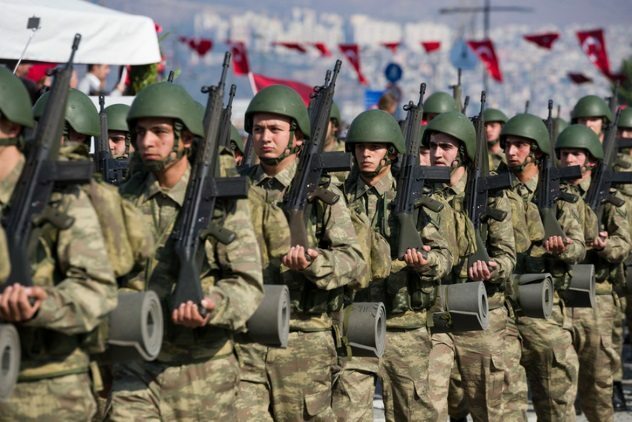 The main asset of the Turkish military appears to be a fairly sizeable standing army. Although they don’t have much in the way of tanks, the Turks do love their naval and air power. The Amnesty International director for Turkey is currently in jail, allegedly for aiding terrorists. While it’s certainly possible that a chap who works with incarcerated people would come into contact with those the government doesn’t like, it is just the latest in a long line of activist arrests under Ole Papa Erdogan. The knock-on effect is making waves in countries halfway around the globe. Since the purges began in 2016, asylum claims to Canada from Turkish citizens shot up to more than 1,300 during 2016, with about 398 claims accepted, about four times as many in 2015. In 2017 so far, there have already been 590 claims, 248 of which were accepted. Of course, evolution is just a theory that has never, ever been proven wrong, and jihad is the demand of a deity that is also very particular about not letting men touch other men in the no-no zone. Therefore, jihad is good, Darwin is a kuffar, and Erdogan (who else) is just looking after the spiritual well-being of his nation. That’s why evolution has been dropped from Turkey’s school curriculum, and jihad is being taught as patriotic. Back in the dark days of 2016, Erdogan (yes, him again) said that he would pardon rapists of underage girls if they marry the victim. Luckily, there was still enough equality going on that he failed in that bid, but he still hates birth control and thinks women who don’t have children are “half” people. 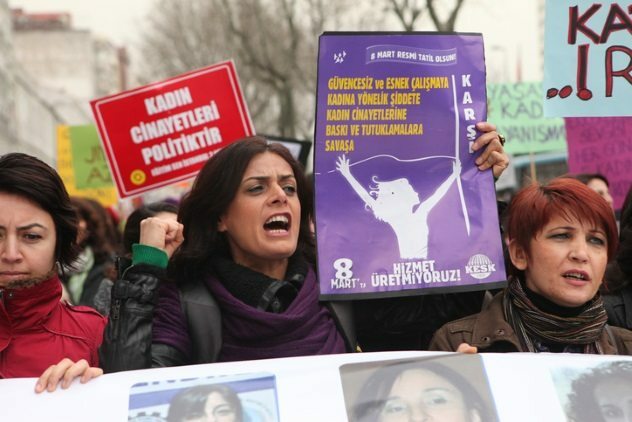 Now that Erdogan is set to take even more powers over parliament in 2019, you can be sure that more Turkish women are going to leave the country, and soon. So there we have it, Turkey is about to fall into full dictatorship, has Islamism on the march, has loads of guns, is part of NATO, and still denies genocide despite all evidence. Oh, and you can’t criticize the government or the state at all, or you will go to prison for basically forever. The beaches on the South Coast are really nice, though. Read more facts about world nations on Top 10 Fascinating Facts About Armenia and Top 10 Fascinating Facts About Qatar.